Just as stories have the power to enrich our lives, shape the way we perceive and interact with the world, and reveal the wonders of the human spirit, they can also play an important and potent role in therapy� helping people develop the skills to cope with and survive a myriad of life situations. 101 Healing Stories celebrates the rewards of using parables, fables, and metaphors in therapy as a nonthreatening means to help clients discuss problems and consider possible solutions. It examines the healing value of using metaphors in therapy and provides 101 inspirational story ideas that therapists can adapt to share with clients for effecting change. Since the original publication of this seminal work, acceptance and commitment therapy (ACT) has come into its own as a widely practiced approach to helping people change. This book provides the definitive statement of ACT�from conceptual and empirical foundations to clinical techniques�written by its originators. ACT is based on the idea that psychological rigidity is a root cause of a wide range of clinical problems. The authors describe effective, innovative ways to cultivate psychological flexibility by detecting and targeting six key processes: defusion, acceptance, attention to the present moment, self-awareness, values, and committed action. Sample therapeutic exercises and patient�therapist dialogues are integrated throughout. This Edition reflects tremendous advances in ACT clinical applications, theory building, and research. Psychological flexibility is now the central organizing focus. The book has expanded coverage of mindfulness, the therapeutic relationship, relational learning, and case formulation and has been restructured to be more clinician friendly and accessible. It focuses on the moment-by-moment process of therapy. An understanding of the role of the counsellor's supervisor, the methods a supervisor might use and how these will improve your counselling skills. Information on practical counselling issues such as keeping records, arranging a counselling room and looking after yourself. Ways of managing special counselling situations involving angry, depressed, grieving or suicidal clients. Practical advice on issues of confidential and professional ethics. Numerous examples of useful dialogue to illustrate the real experience of counselling and to use in counselling situations. Key statements are highlighted throughout the book for ease of reference. Discussion of the specific skills required for successful counselling and suggestions on how you can discover and develop new skills. Ideal for anyone embarking on or considering a career in human services, counseling, psychology, social work, or any of the other helping professions, this book provides an overview of the stages of the helping process, and the skills and knowledge required to be a successful helping professional. Drawing on their years of experience, the Coreys focus on the struggles, anxieties, and uncertainties involved in becoming an effective helper, and challenge the reader to take a candid look at the demands and strains they'll face in the helping professions and their motives for choosing a helping career. Compares and contrasts solution talk with other more traditional or problem-focused approaches to illustrate how a collaborative, co-constructive and empowering way of working may help clients to meet their goals quickly, painlessly and with long-lasting effects. Packed with real-world examples from a range of clinical settings, as well as sample interactions and hands-on learning activities, this book is designed to assist in developing expertise in motivational interviewing. The author is an experienced MI researcher, clinician, and trainer who facilitates learning with quizzes, experiential exercises, and reproducible worksheets. The reader is taken step by step through practicing core MI skills: raising the importance of behavior change, enhancing the client's confidence, resolving ambivalence, solidifying commitment to change, and negotiating a change plan. The utility of the book is enhanced by the large-size format and lay-flat binding. In this vivid and thoughtful study, David Karp chronicles the experiences of the family members of the mentally ill, and how they draw "boundaries of sympathy" to avoid being engulfed by the day-to-day suffering of a loved one. Working from sixty extensive interviews, the author reveals striking similarities in the experiences of caregivers: the feelings of shame, fear, guilt and powerlessness in the face of a socially stigmatized illness; the frustration of navigating the complex network of bureaucracies that govern the mental health system; and most of all, the difficulty negotiating an "appropriate" level of involvement with the mentally ill loved one while maintaining enough distance for personal health. Throughout, Karp sensitively explores the overarching question of how people strike equilibrium between reason and emotion, between head and heart, when caring for a catastrophically ill person. The book concludes with a critical look at what it means to be a moral and caring person at the turn of the century, when powerful cultural messages spell out two contradictory imperatives - pursue personal fulfillment at any cost and - care for the family at any cost. Case management has become synonymous with service delivery in health and the human services internationally. It is used across diverse organisational settings and with different professional and client groups. Yet despite its predominance, case management remains elusive and chameleon-like in character. This book goes beyond the prevailing case management rhetoric to challenge preconceptions, offer strategies for practice and explore issues of professional identity and development. indispensable practitioner resource and course text. 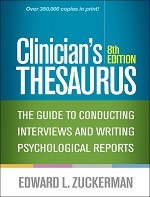 It presents thousands of standard words, phrases, clinical tips, and interview questions to help practitioners conduct thorough assessments, accurately describe nearly any clinical situation, and shape clinical observations into effective reports. Finding exactly the right terminology can save hours of paperwork time and improve the quality of documentation. Structured to follow the sequence of a mental health evaluation, the book includes report formats, treatment planning pointers, all DSM-IV-TR and ICD-9-CM diagnostic codes, and much more�all in a large-size format with convenient lay-flat binding. Provides all the elements necessary to quickly and easily develop formal treatment plans. This book provides a series of reflective learning tasks to support counsellors through key stages in training. Linking to the best selling Open University Press textbook, An Introduction to Counselling, John McLeod offers a range of thoughtful exercises enabling counsellors to build on life experience, engage with theories and concepts, reflect on cases, learn from critical issues in practice, and develop a professional identity. Readers are encouraged to construct a rich account of their counselling competencies, concepts, values and personal qualities. Learning tasks are cross-referenced to pages in An Introduction to Counselling, and other key sources. More than just a new behavioral treatment approach, dialectical behavior therapy (DBT) marks a whole new theoretical orientation to the practice of clinical psychology-a rethinking of the causes, descriptions, and treatments of acute mental disorders. This volume offers a detailed explication of DBT in theory and practice. 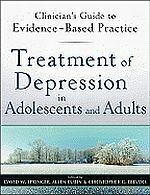 Designed to teach professionals how to use this method in a private-practice setting to treat a range of disorders, this book includes a clear and concise presentation of: DBT and its orientation within the larger context of psychotherapy Dialectic conflict and its role in sustaining mental disorders The DBT coping skill set: meaning-making, mindfulness, emotion regulation, distress tolerance, and strategic behavior skills Practical applications of DBT to a number of acute mental disorders The book also includes a CD-ROM containing easily reproducible client worksheets and PowerPoint presentations to lead psychoeducational sessions with clients-all formatted to work on both Macintosh and Windows platforms. Offers practical, field-tested methods for dealing with traumatic and life-changing events. This helpful manual presents useful strategies for crisis prevention, functioning effectively during a crisis, caring treatment approaches, and aftercare--and describes how to assess the extent to which a crisis has impacted an individual. Important legal aspects of crisis counseling are also highlighted--such as risk, suicidality, and documentation--as well as helpful details on how to prevent potential malpractice issues related to crisis intervention. Gives clear explanations of proven practice techniques and examples of effective interventions. Provides an accessible and practical guide to navigating through the complexities of any type of crisis situation, including natural disasters, community violence, and personal tragedy. Unique coverage is presented on such topics as group intervention, incorporating spirituality into treatment, community resources, coordinating efforts of crisis-response personnel, and the roles of various crisis workers, including instructions for how to prepare intellectually and emotionally for crisis situations. Essentials of Group Therapy provides both professionals and students with a clear overview of the group therapy process, its history and development, and the critical skills required for working effectively with groups. This valuable guide presents several models and techniques for setting up and leading a number of different types of groups, explained with a distinct practitioner focus. Focuses on the practical aspects of deciding when and for whom group therapy is effective, building groups for long- and short-term therapy, as well as support and self-help groups, and managing the issues that can arise as groups develop. The authors provide examples of how to handle leadership, training, and diversity, as well as ethical and legal issues in an effective and compassionate manner. The transition from counselling skills courses to professional counsellor training challenges even the most able student. This book poses the question, "Why be a counsellor?" and invites practitioners to examine their motives for wanting to make an intimate relationship with a stranger. Trainee counsellors are helped to make the leap from using counselling skills to becoming safer, insightful practitioners. With case studies throughout, practical examples are linked to specific theorists, and verbatim transcripts of counselling dialogue demonstrate the use of theory, helping to introduce trainee counsellors and other practitioners t psychodynamic ideas in an engaging, accessible way. This book continues to be a popular text for training in counselling and psychotherapy and with practitioners who are new to the gestalt approach. Drawing on over 30 years experience as a gestalt practitioner, trainer and supervisor, Clarkson has written a lively and authoritative introduction to the approach, beginning with the theoretical and philosophical basis of gestalt. She clearly sets out the six main phases of the therapeutic process, introducing us to a client, 'Gary', whose case is used throughout the book to illustrate the process of therapy and the techniques used in each of the phases. The culmination of master psychiatrist Dr. Irvin D. Yalom's more than thirty-five years in clinical practice, "The Gift of Therapy" is a remarkable and essential guidebook that illustrates through real case studies how patients and therapists alike can get the most out of therapy. The bestselling author of "Love's Executioner" shares his uniquely fresh approach and the valuable insights he has gained. A book aimed at enriching the therapeutic process for a new generation of patients and counselors, Yalom's "Gift of Therapy" is an entertaining, informative, and insightful read for anyone with an interest in the subject. Burns, the master of therapeutic storytelling, has brought together a group of international therapists to describe why and how they use storytelling in their clinical practice and share specific examples of what metaphors they have successfully used with their clients. This new companion to Burns's other successful "Healing Stories" books is structured around five outcome-oriented goals (improving mood, building positive relationships, changing patterns of behavior, enhancing health and well-being, and developing life skills) with relevant stories in each section. Provides a detailed discussion of the use of in-depth interviewing as a research tool for collecting data to better understand people. This Australian text provides students, researchers and practitioners with a thorough exposition of the value of using in-depth interviewing in qualitative research. Examples of research are used across the disciplines to show its wide applicability. Like the previous editions, the book goes beyond simply providing a description of collecting data by this method. It shows the reader the relationship between theory and research; the complex human side of the fieldwork process; the logic of doing in-depth interviewing; the connections between data collection, analysis and report writing; and the repertoire of field strategies one might develop in order to cope with the social and political context of qualitative research. This much-needed workbook and DVD combination offers clinicians interested in acceptance and commitment therapy (ACT) a solid and straightforward training manual to the powerful and clinically proven techniques of this revolutionary model. Maps of Narrative Practice provides brand new practical and accessible accounts of the major areas of narrative practice that Michael White has developed and taught over the years, so that readers may feel confident when utilizing this approach in their practices. The book covers each of the five main areas of narrative practice-re-authoring conversations, re-membering conversations, scaffolding conversations, definitional ceremony, externalizing conversations, and rite of passage maps-to provide readers with an explanation of the practical implications, for therapeutic growth, of these conversations. The book is filled with transcripts and commentary, skills training exercises for the reader, and charts that outline the conversations in diagrammatic form. Readers both well-versed in narrative therapy as well as those new to its concepts, will find this fresh statement of purpose and practice essential to their clinical work. Michael White is an originator of Narrative Therapy, and is Co-Director of Dulwich Centre, an institute for narrative practice and community work in Adelaide, Australia. He is an internationally recognized teacher, has authored numerous articles and books, and is co-author of Narrative Means to Therapeutic Ends . A New Approach to Conflict Resolution. Introduces an innovative conflict resolution paradigm whereby conflicting parties are encouraged to tell their personal "story" of the conflict, and reach resolution through a profound understanding of the context of their individual stories. Offers a clear, concise overview of the narrative approach without oversimplifying its theoretical underpinnings and practice. Narrative therapy places stories at the heart of the therapeutic process and focuses on the importance of people's expressions of their experiences of life. Its main premise is that the telling and re-telling of life experiences through story-telling in a therapeutic setting can enable difference and change within the life of the client. Drawing on the ideas of Michael White and David Epston, this fully revised Second Edition incorporates the progression of their thinking over the last five years, and introduces developments initiated by other therapists worldwide. New material has also been added to show how narrative therapy can be successfully used in three specific situations - post-traumatic reactions, couple conflict, and a sense of personal failure. Illustrated throughout with extensive clinical examples of work with individuals and couples. It is ideal for anyone on a specific training in narrative therapy and for those who want to integrate narrative ideas and techniques with their current approach. This book is a comprehensive course text for training new counsellors in basic and more advanced counselling micro-skills which come from a number of therapeutic approaches. It enables new trainees to make informed choices about the type of skill to use and how to integrate these skills within a sequential counselling process. �How can we create a space for dialogue and wonder, where purpose, preferences, and possiblilities can emerge?� This question leads to others which are the chapters of this book. Weaves the hallmarks of postmodern theroies and practices onto the background of solution-focused ideas. This book is a practical skills-based introduction to relationship counselling. It covers couple counselling for parents, whole family counselling and counselling for children and young people with regard to their relationships with siblings, peers, and parents. The text also includes: an introduction to relationship counselling theory and concepts; discussion of the importance of relying on a clearly defined theory of change; ways to address parenting issues; an exploration of confidentiality, disclosing inappropriate behaviour and personal safety. Kathryn and David Geldard present an integrative model of relationship counselling which combines skills and strategies from a number of approaches. Their practical guide integrates individual and subgroup counselling with whole family counselling, providing much-needed material on methods and approaches for communicating with children and young people. The book will be invaluable to new relationship counsellors learning the skills required in order to bring about change, and will be a useful reference book for experienced counsellors. In A Safe Place for Change, two outstanding teachers have set out to demystify that crucial first year of learning to become a counsellor. Always in touch with that it feels like to be a counselling student, Hugh Crago and Penny Gardner draw on many years of teaching basic counselling skills in universities and private training institutes. They write clearly about complex concepts and issues, and focus on the common ground shared by most recognised approaches to counselling and therapy. They present the fundamental and more advanced capacities and skills in a sequence that makes sense for the learner, but which also illuminates the client�s experience over an ongoing series of sessions. They emphasise how �holding� skills must come before skills that assist clients to �explore� their presenting issues, and how both must precede interventions that challenge clients with �gentle honesty�. They show why premature attempts to help clients change their behaviour are doomed to fail, and why counsellors should evaluate the appropriateness of their interventions by the way their clients respond to what they have said. They ask �what happens at the third session?� and suggest what early dropouts mean, and how they can be minimised. Issues of spirituality are gaining increasing prominence within the therapeutic professions. Written by a leading figure in this emerging domain, this book provides a unique and creative focus for therapists wishing to consider how spirituality may inform or shape their own practice. The author innovatively draws together narratives from personal experience (both his own and that of other leading figures in the world of therapy), research and practice to address such vital questions as "how can the therapeutic encounter be a safe place for spirituality to be considered" and "how can the spiritual life of the therapist be engaged in their work?" Students and practitioners will find this book both thought-provoking and inspiring, but ultimately highly practical and as such an essential practice companion. Valuable for seasoned mental health professionals as well as those in training, this book presents systems theory - the unifying principles surrounding the organization and functioning of systems - as it applies to individual, couples, and family therapy. The Therapist?? 's Toolbox is like taking several years of seminars and reading a book or two. It is a time-saving and cost effective manual full of tried-and-tune techniques for enhancing therapeutic intervention with clients, written by a discerning and seasoned practitioner. Aimed at practice with individual adults and couples, this manual is a collection of nonsense, helpful techniques drawn from Susan E. Carrell?? 's vast experience throughout her career. Each technique is complete and easy to implement in a single session. The author?? 's jargon-free, down-to-earth writing style makes each technique easy to understand and effective to use. Carrell provides treatment objective and diagnostic aids to help the clinician meet requirements for treatment planning, as well extensive examples from her own practice. This updated and revised edition offers information about recovery from mental illness and substance abuse while addressing short-term, daily problems of iving with someone who has mental illness, and long-term planning and care. Of special note are the forty-six "quick reference-guides" about such topics as responding to hallucinations, delusions, violence, and anger: deciding if a person should live at home or in a facility; choosing a doctor and dealing with mental health professionals; handling holidays and family activities; managing stress; helping siblings and adult children with special concerns; assessing effects of street drugs and of psychiatric medication; and assisting people who do not understand they have dual disorders. Many social workers and welfare workers are employed in positions where they deal with involuntary clients, particularly in corrective services, child protection, mental health and residential care. These positions are demanding, and require specific skills. The model for working with involuntary clients explored in this book emphasises clarifying roles, promoting pro-social values, dealing with issues of authority and establishing goals. The approach is integrated, systematic and evidence-based. This second edition has been fully updated and includes new examples, new research findings, and new material on case management, different intervention models and evidence-based practice.